Public policy is judged by how it works, not by how it was intended. As a deadline nears for reuniting immigrant families riven at the U.S.-Mexico border, even the stoutest defenders of tough U.S. immigration policy have to be smacking their foreheads at the outcomes of this fiasco. 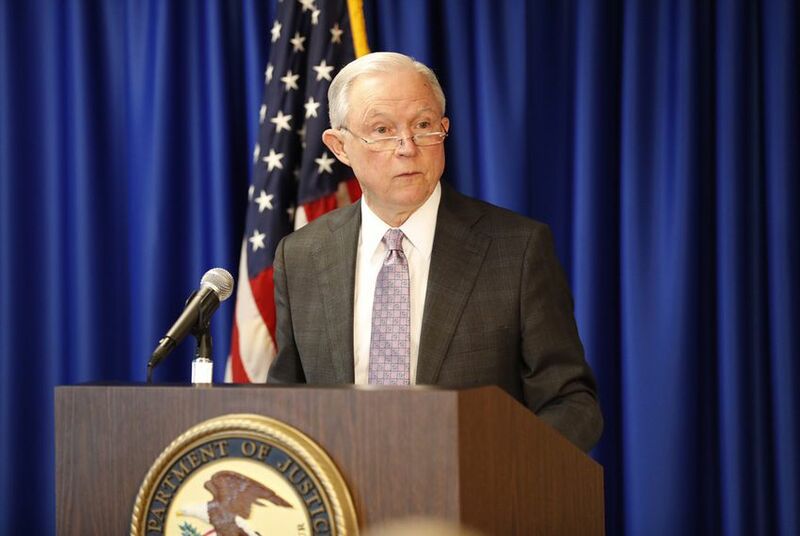 Back in April, the Trump administration, in the person of Attorney General Jeff Sessions, announced a tough crackdown on immigration, a “zero tolerance” policy at the country’s southern border intended to grind illegal immigration to a stop. “The situation at our Southwest Border is unacceptable,” he said at the time. “Congress has failed to pass effective legislation that serves the national interest — that closes dangerous loopholes and fully funds a wall along our southern border. As a result, a crisis has erupted at our Southwest Border that necessitates an escalated effort to prosecute those who choose to illegally cross our border. He did make himself perfectly clear, didn’t he? And you see how it worked out. Tomorrow is a court-ordered deadline (bet you a dollar the government doesn’t finish in time) for reuniting the families that were split as a result of Sessions’ policy. Strict enforcement of immigration law was the intention. Busted families and kids in jail was the result. As it turns out, that result was legally unacceptable to the courts and politically unacceptable to President Donald Trump, who reversed the "zero tolerance" policy with an executive order. Unwinding this mess is slow, painful and would have been unnecessary if the feds had thought things through. If you prosecute immigrants under criminal law, you’re obliged to take away and to protect the children who are with them, just as you would in the arrest of a drunk driver. You’d have to have a system in place that kept track of which kids came in with which adults. You’d want to quickly vet the adults to flag those that maybe shouldn’t be reunited with those children. But in most cases, you wouldn’t want to deport someone before making sure they had their kids back. The planning should also include places for everyone to be fed, sheltered and clothed. Health and education services might be needed. And the feds obviously didn’t do the prep work before throwing this zero-tolerance machinery into gear. Whether you approve or disapprove of how things turned out, this is what we’re doing. Whether it was the intention or not, it’s how the policy actually works. It’s the result of our actions, and it doesn’t much matter what our intention was. That approve/disapprove part now becomes important: If the policy produces the desired result, you leave it alone. If it produces an undesirable result, you admit the mistake and fix it. Even many Republican base voters — women, to be specific— thought the separations went too far. That made a political reversal necessary. And the courts ordered the families reunited, the process now underway, when the policy was challenged on legal grounds. The numbers aren’t great, but the fix is underway. As of Monday evening, 879 of the remaining separated families had been reunited. Another 538 parents had been cleared — a step toward that many more reunions. But 217 adults were in the “maybe” category, and 917 had been declared “ineligible” for reunion or likely to be so. Half the adults in that last group are no longer in the United States. But the kids are. Think about that. This round began with 2,551 kids still unattached to the adults who were with them when they got to the United States. Let’s say for the purpose of discussion that 1,000 of these minors will remain in the United States when all is said and done. We’re obligated to take care of them, educate them, feed them, all of that. They’re the newest kind of "Dreamers" — kids brought to America by immigrants who entered the country illegally, allowed to chase the American dream in the only country they really know or, in the case of older kids, the only country where they’ve still got adult guardians. That’s how the policy so carefully laid out by the attorney general actually worked, whatever the administration’s intentions: a politically forceful presentation, an ill-considered policy, a disastrous legal and political fiasco, and about 1,000 new Americans, making their way in the land of the free and the home of the brave. Analysis: Do the feds have a plan to reunite migrant families? We’re about to find out.